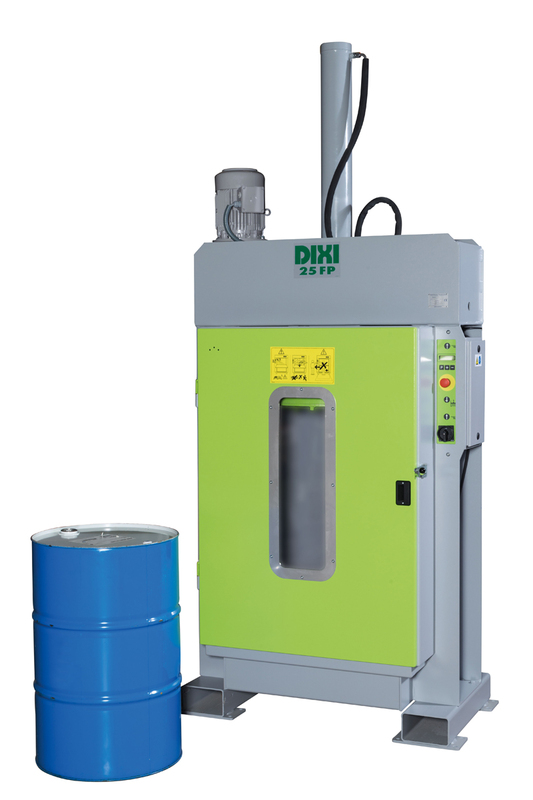 Even for the heaviest steel-ribbed drums – the profitability of the drum press DIXI 25 FP is underscored. 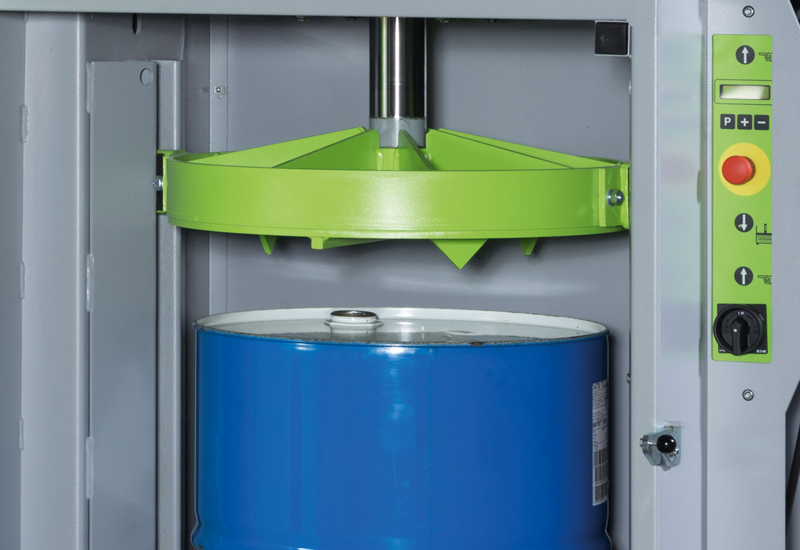 Through the closed splash-guard cladding with large inspection window, this drum press offers an optimal safety concept. 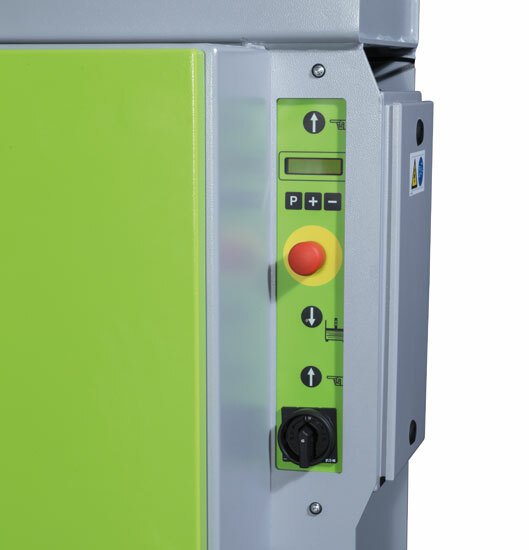 The hydraulic unit and the electric control system save space and are integrated in the machine stand for protection against external damage. 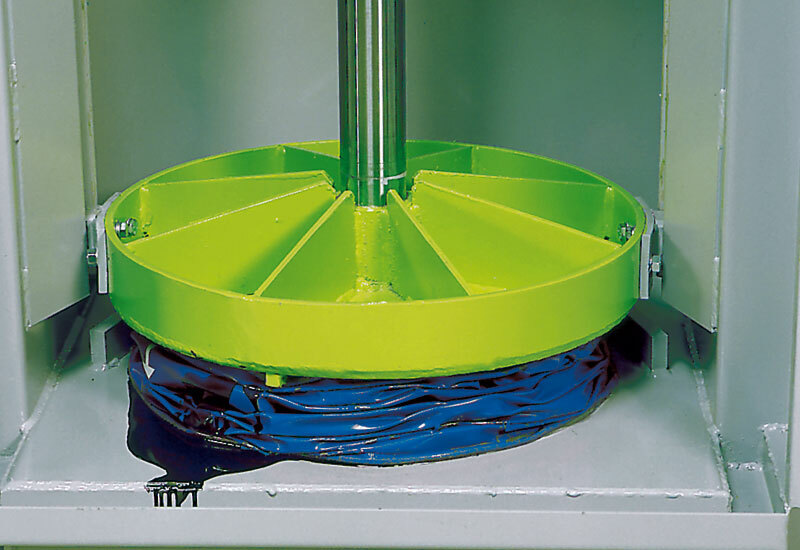 The environmentally-conscious mode of operation is demonstrated through the liquid collection device. Large press plunger: With vent spikes and two-sided guide. 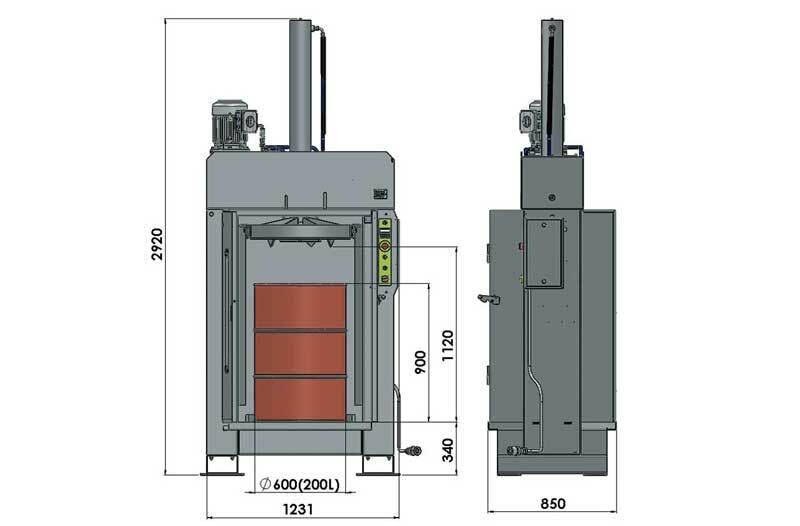 Energy saving, quiet 2-stage hydraulics with automatic limit shutdown. 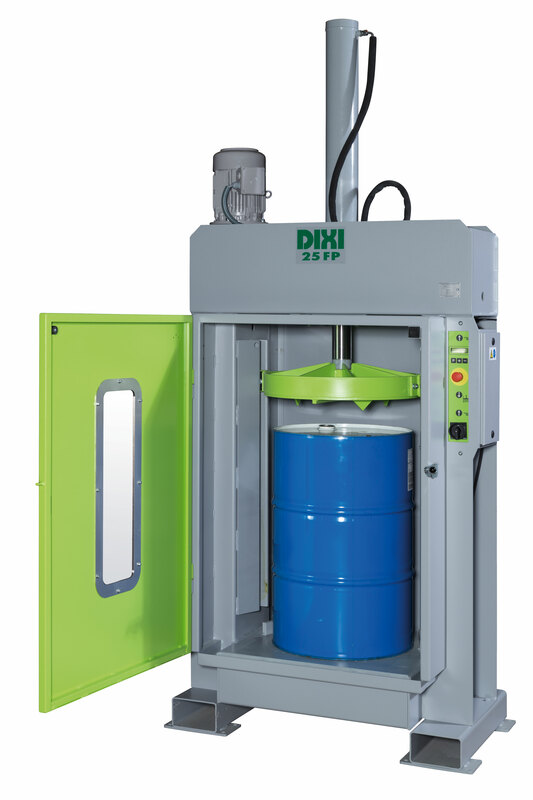 Automatic pressing procedure: Put drum in, activate the start button and then take out the compressed drum. 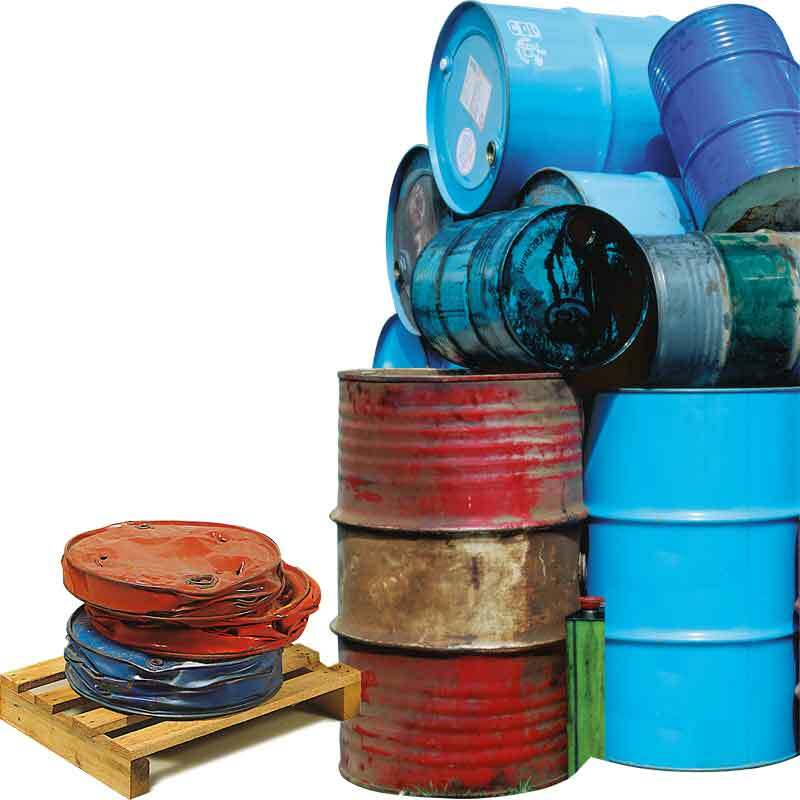 Liquid collection fixture for residual liquids – can be connected to an in-plant disposal network. Ventilation spikes punch holes in the drum surface for venting. Closed splash-guard cladding with inspection window, for complete protection of the operator. Electrical and hydraulic overload safeguard. Stable steel-weld construction in closed design – maintenance-free.